Popping in to upload some pictures of a New York Beauty block I made recently. I am very excited with how it turned out. I paper pieced it using templates from here. I am not the quickest paper-piecer...but the block did go together smoothly. I didn't have any trouble with the curved seams and they ironed down beautifully. If you haven't tried a New York Beauty block, I highly recommend it at least once! If nothing else, you will get a great, unique pillow or mini quilt out of it. 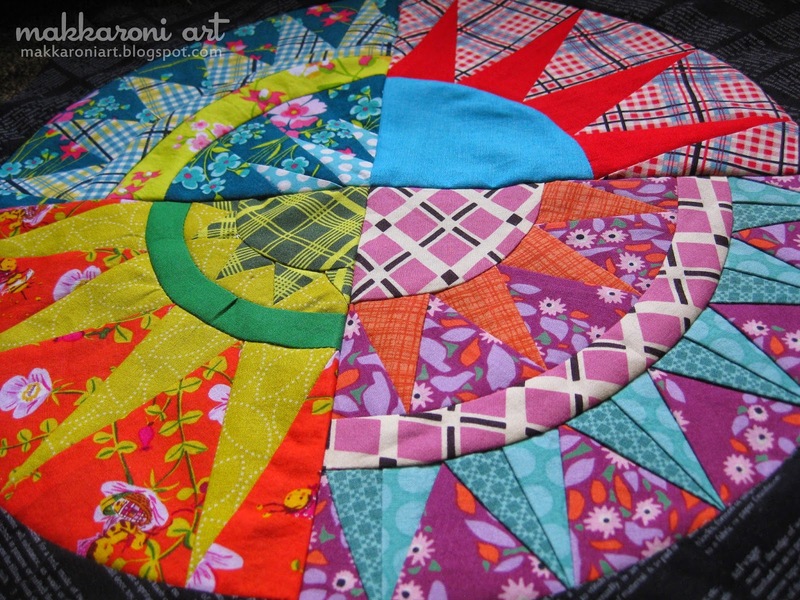 I am using the one I made as the center of a quilt I will be working on this year. 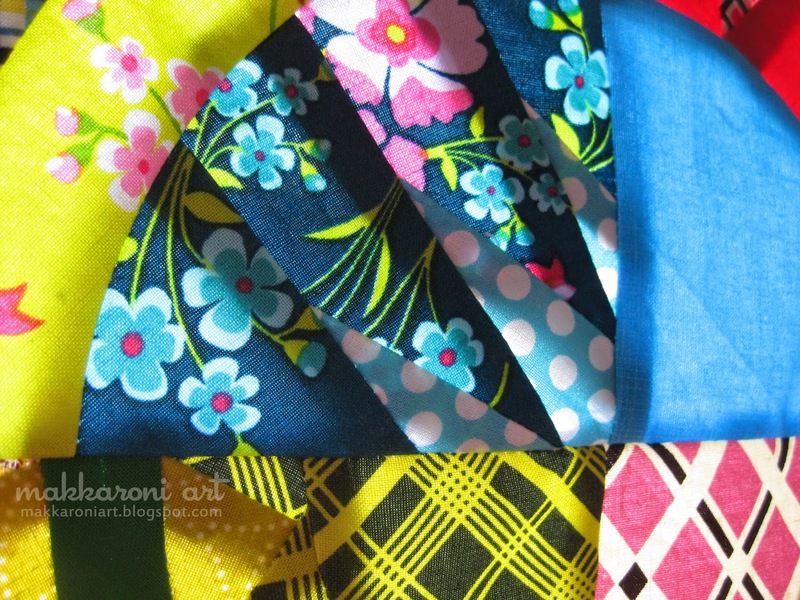 My friend and I will be each making a center block for a quilt and then switching each month to add to each other's quilt. Like a two-person travelling quilt. :) We have done this once before, years ago. 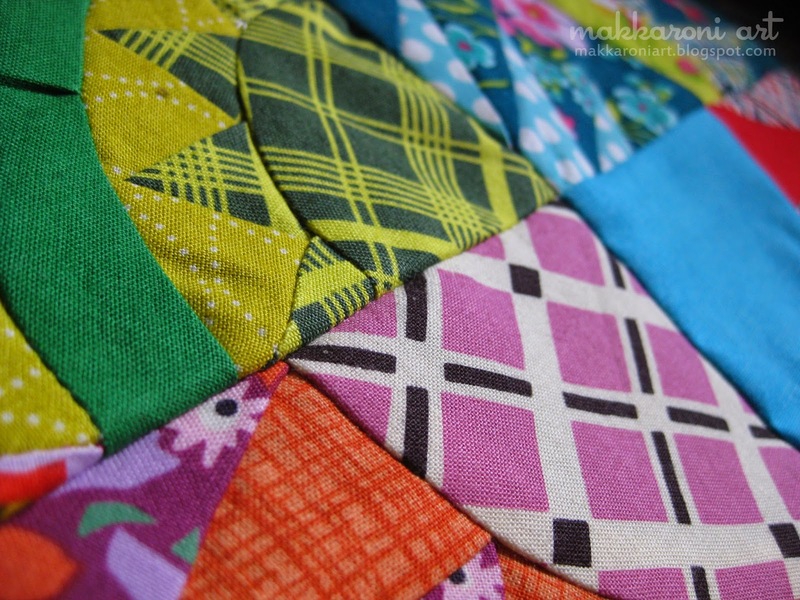 And, as much as I do dig the first experiment, I am excited to do it again as our piecing has improved greatly and our taste in fabric changed quite a bit. 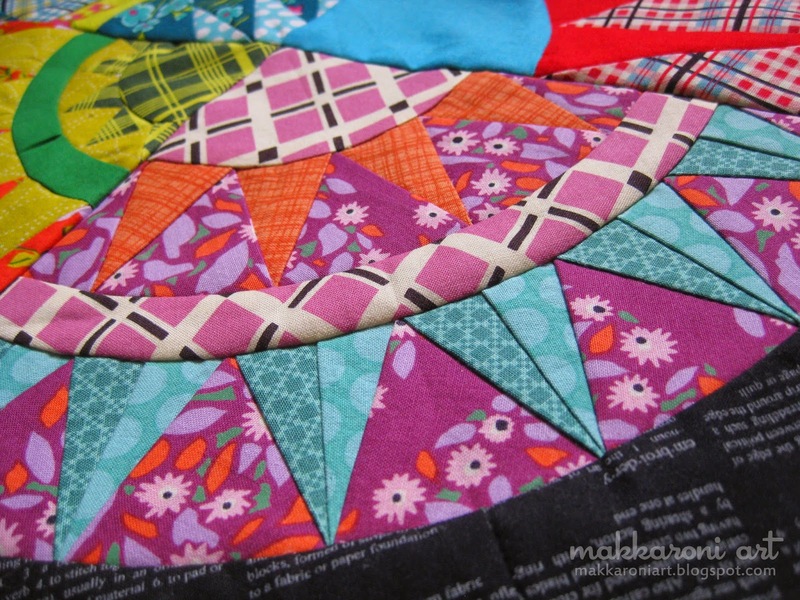 I am also plugging away on my scrap/orphan block quilt. 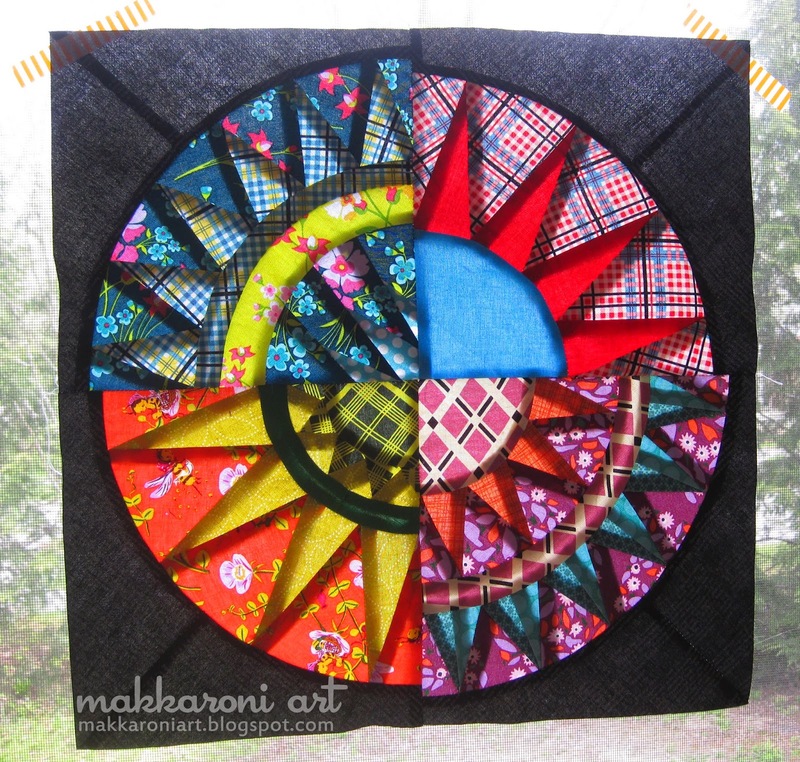 I finished piecing the top and back and finally sandwiched it together yesterday. I pinned it every 6 inches or so, as I was out of spray baste. I decided to hand quilt it using a basic running stitch and probably some tying. Here is a (bad) photo of it laid out on my kitchen floor. It will measure about 68x92 when finished. 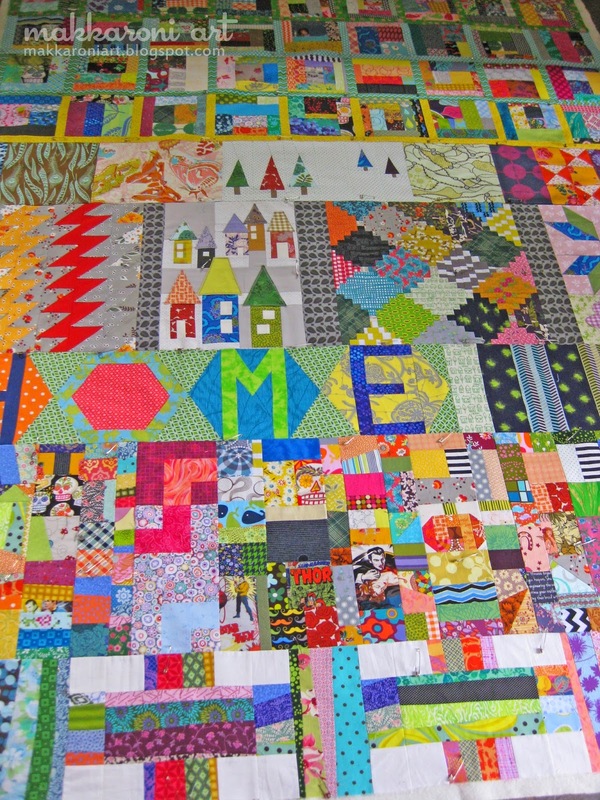 A very generous and cozy couch quilt for our long, cold Maine winters. I will say though...I am totally in love with it! 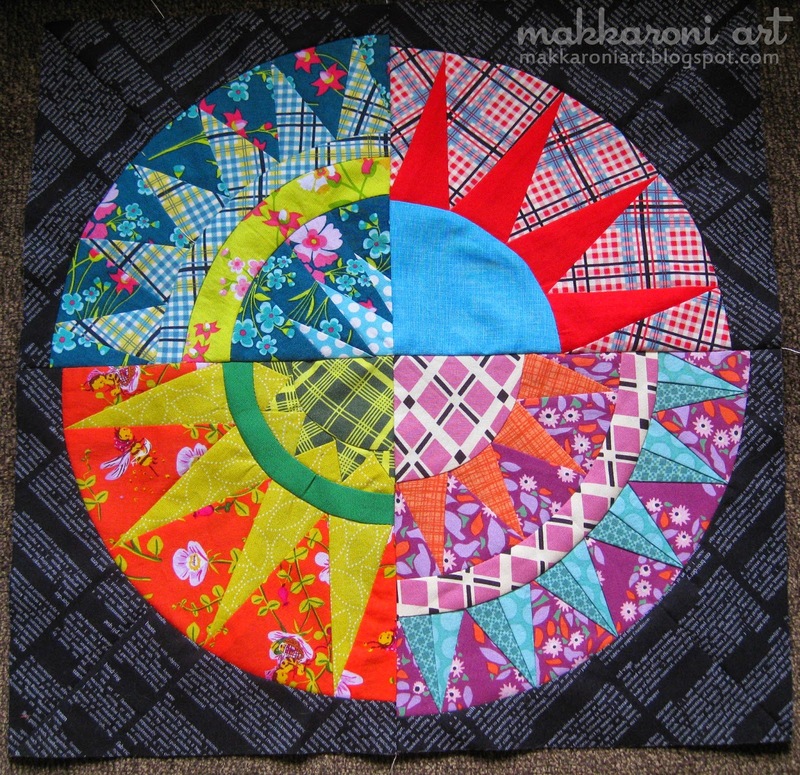 And finally, a little 'Throwback Thursday' action...here is a (really bad) photo of the round robin quilt I mentioned up in the second paragraph. I really need to try and get a good photo this summer. This one was taken quickly on a cold and windy day in February 2013. 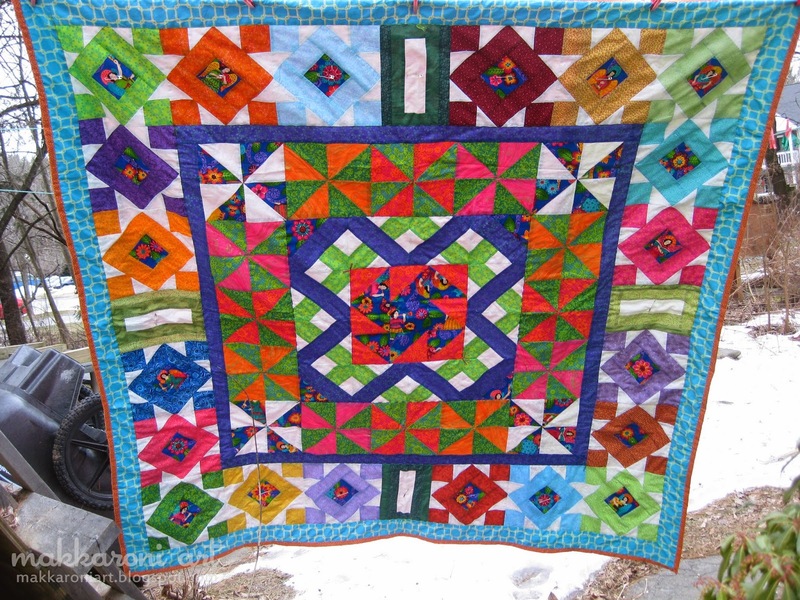 Though the top had actually been finished for years, I only completed the sandwiching and quilting last winter. The theme was Mexican Day of the Dead, as I have always been drawn to the colors and imagery of that holiday. Thanks for popping in! Have a great day!